Prexam practice test series for MHT-CET Exam are based on Question bank of over 23,000+ Questions with latest updates designed by subject experts. All topics are covered with detailed explanation to solutions. The tests are time based test and include negative marking for wrong answers to enhance your performance for actual exam. You can design your own test based on chapters you have studied with required difficulty level. You will get different test paper even if you appear for the same chapter again. There are unlimited Error Correction Tests offered based on mistakes you make in your practice test to help you attain perfection in you preparations. Preparation Analysis helps you compare your score with students all over India and also find out areas where you need to work more on. MHT-CET Free Test Series 10 days 3 - Free Register Start! 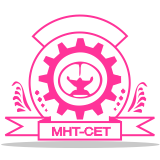 MHT-CET Essential Test Series 45 days 20 3 250 Register Start! MHT-CET Fast Track Test Series 90 days 45 10 590 Register Start! MHT-CET Fast Track + Unlimited Practice Series 90 days 45 10 900 Register Start! MHT-CET Standard Course 365 days 100 25 1470 Register Start! MHT-CET Standard Course + Unlimited Practice Series 365 days 100 25 2200 Register Start! MHT-CET Grand Course 730 days 150 35 2550 Register Start! MHT-CET Grand Course + Unlimited Practice Series 730 days 150 35 3650 Register Start!